Where can one get Heart Scales in Black & White 2 ? Anyway, guys, I know one place where you can get Free Heart Scales, everyday. No, I don't mean the Driftveil Lady who wants to see some TMs in return for a Heart Scale. Use the Dowsing MCHN to find a Heart Scale. Here's the good part: You can get one everyday for free. In the same spot. Now, that apart, do you know any other place for Heart Scales? Try in route 13.You can get heart scales everyday from the rock which is near the hidden grotto near the giant chasm. Now see the picture here.When you go down the steps turn the dowsing machine on and it will activate.There will a rock below the steps,u can get a heart scale from the rock everyday using the dowsing machine. Now,when you see the locations with the dowsing machine in brackets,you can get a heart scale everyday in that place.I dont know where to get that heart scale in that place,but have your dowsing machine and search that place for a heart scale. 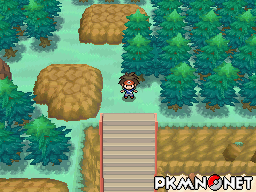 Where can you find heart scales on Pokemon White Version? Where can you use heart scales in White? Where can I get some heart scales? Where do I get heart Scales in HG? Where do you get heart scales in heartgold? I need 2 heart scales (diamond). emergency!! Where is the move tutor in silver and where do I find heart scales to give the move tutor? How to get heart scales in Omega Ruby?